This article was written by Gowri Rekha and originally published on Paul Writer. Paul Writer interviewed Vijaya Kumar Ivaturi (known as IVK) who is the Co-Founder and CTO of Crayon Data, a Big Data & AI product company at Singapore with a development center in Chennai. He has been with ICT industry for the last 30 years and is one of the leading experts in innovation management and advanced technologies incubation in India. Read on for his insights on how the social shift impacts the technology shift and vice versa and the way we go to market. What are 3 points to remember when creating a digital customer experience? The first thing to keep in mind when creating a digital experience is relevance. Each interaction with the customer from sending them information to making an offer- relevance is the key. Then you have to consider what is it that makes you different to the customer- the novelty factor or freshness factor. Finally, there should be some gain or reward either in financial terms or social terms. Customers should have a clear point of departure in terms of commercial gain and emotive gain. We should remember that experience is always analog for a human while the channel is digital! In the domain of marketing analytics- relevance, novelty, and reward are the first three points that need to be considered while creating a digital journey. How do you leverage technology to deal with rising customer expectations in your space? The first touch point is the interface layer- the screen if it is visual and tactile for non-visual – where most of advanced technology is experienced as a user. At the back end, we do leverage technology for user context. To obtain fine grain context through the channels you use, and improve the relevance for your enhanced experience, one needs to use multiple technologies which are special, social and sectoral in nature. The challenge of integration we have got across multiple channels for users is also something that we use technology for. For example, the seamlessness with which you change channels for the same content- you can browse music online, listen to it on your phone, or your music player- something that you can do on demand now because of technology. The digitization of the engagement channel is something that is highly tech. The feature of seamless session mobility for the user is essentially technology driven in the current systems. What are the key disruptors that businesses should take note of? The disruptive tech shift we’re seeing can make or break a business. Consider this- buying movie tickets using your phone is something we would never have even dreamt of. The whole web to mobile shift changed the way we access the markets now across sectors. There’s also the business model shift where the user is the consumer but not the customer. Most online businesses work in this triangle where the money is not made from the users of the service but from the firms interested in those users. This shift happened based on the enabling technology which is the backbone. You look at a travel site and read the reviews on hotels and make the booking- trusting them to give you the best information on a deal and close the transaction on the site. You trust the site which is an aggregator rather than the airline or hotel! This is the business model shift which puts power into the aggregators than asset owners and values them more than the traditional owners of property. This is a disruption. Another shift that is changing the way we work is the social shift. People shopping online on a scale of millions is something we wouldn’t have predicted and has drastically caused organizations to review their marketing strategies and their business models. The social curation model to make a consumer buy based on what others say is a dramatic shift not only in consumerism but also in societal behavior. Social experience is more valuable to such an extent that hundred strangers likes to seem to be valued higher than one friend’s opinion! These three shifts of tech, business and social are interlinked and can derail or augment digital business, according to me. Blockchain is a good example where it seems to disrupt the aggregator model of online businesses with a model in which you trust an algorithm than an entity and remove the broker in between! 3 myths or misconceptions regarding big data and data-driven marketing? The most popular myth right now is believing in Data supremacy. Large amounts of data don’t solve the entire problem but only a part of the problem. Believing that data solves everything is oversimplifying the business. In reality, data is not that clean. You have to comb through the data you have with a fine tooth comb to obtain exactly what you want and need. Data may also not be fresh and relevant- you have to keep updating it. As we often say in tech, a data that is not labeled, linked and loaded is as good as not having it at all. It is of course a critical element in the value chain in data driven marketing but is a starting point and not end point. Second is Algo Supremacy. Not everything can be solved by regression or text mining or some other algorithm. You need semantic context when interpreting and context is something that matters very much. There is no single superstar algorithm for every digital marketing problem that one can just pick and load onto the system. It is always a blend of algorithmic logic and Heuristics that makes Data driven marketing work. There is no one size fits all here. This also leads me to behavioral science. Most people assume that a machine can solve everything, and most digital systems assume rational behavior when in reality we are barely rational. For Sure, data sets provide signals and indicators, but predictability is not that simple. This is why context is critical. Machines at the end of the day cannot supersede human behavior. The domain of digital marketing is an imperfect system driven by approximations based on both algorithms and human judgement. We either solve the long tail problem (volume challenge) or the high-end problem (complexity challenge) through Big Data and AI but the leave the final decision to a human still. This is not a process control system to be analyzed in terms of binaries but a human ecosystem that needs to be appreciated for its greyness in actions. What advice would you give to young people just starting out their careers in your field? For those who are starting new, I would say focus on conceptual understanding instead of focusing on just the tools. Tools are a skillset that you need but you need the understanding of the concept as well. Otherwise you’ll struggle to model a real world problem into a mathematical problem or a computational problem or behavioral problem. I would also tell them to either pick a function or a sector and go for depth in it. In today’s world it’s also necessary to have an understanding in both art and science. It gives you a broader view of things. You don’t need to have a research level understanding but have an amalgam of knowledge as a horizontal plane while having some in-depth focus in one or two sectors or functions. With the emphasis on skill sets in digital domain, we are training many people on tool sets, but we seem to lose the system view of the world. This is something youngsters need to keep in mind that world does not start and end with a python script or a CNN model and thrives on some key real-world interfaces to survive and scale. Let us not lose sight of them! IVK worked at Wipro for more than two decades before entering into the startup world. 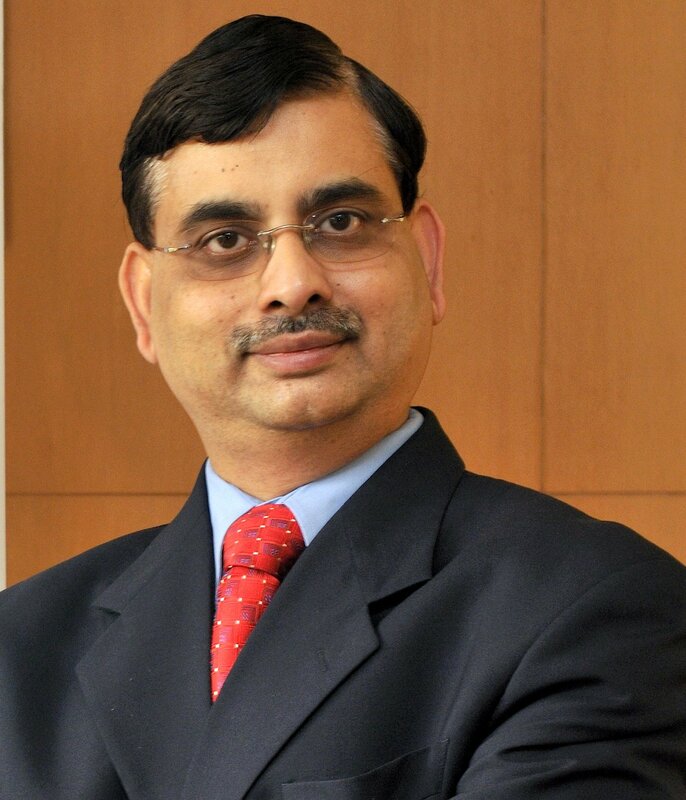 He was one of the core group members to set up the telecom business in Wipro, and led the wireless and telecom applications businesses before becoming Wipro’s CTO. He is one of the core members of CII’s Innovation council and a charter member of TiE. He serves on the governing council of CMI Algo Labs, an industry-academia initiative by Chennai Mathematical Institute. In social impact segment, he is a partner with Acumen Fund in India and helps their investee companies in education and other sectors. His current technical interests and activities include Recommender systems and Choice theory, Product and Taste affinity graphs, Customer analytics, Text and Graph mining in both B2B and B2C contexts.